University of Toronto President Meric Gertler and Faculty of Arts & Science Dean David Cameron hosted David and Moffat Dunlap and members of the Dunlap family at a gala dinner last month to cap off the 10th anniversary of the Dunlap Institute for Astronomy & Astrophysics. The Dunlap Institute, established in 2008, joined the department of astronomy and astrophysics and the Canadian Institute for Theoretical Astrophysics (CITA) at U of T to form the leading centre for astronomical research in Canada. In the decade that followed, Dunlap grew to increasingly deliver on its mandate to develop innovative astronomical technology, conduct groundbreaking research, train the next generation of astronomers, and share the excitement of astronomy with the public. The dinner also acknowledged the long and historic relationship between the Dunlap family and the university, which began in 1921 when David and Moffat’s grandfather, David A. Dunlap, met Clarence Chant, founder of U of T’s department of astronomy, at an astronomy lecture given by Chant. In 1926, Dunlap’s widow, Jessie Donalda Dunlap donated funds in memory of her late husband that made possible the Dunlap Observatory in Richmond Hill. Then, in 2007, an endowed gift from David and Moffat led to the establishment the Dunlap Institute. Today, the research themes of the institute have grown to encompass optical, infrared and radio instrumentation; data analysis; dark energy; large-scale structure in the universe; the Cosmic Microwave Background; the interstellar medium; galaxy evolution; and cosmic magnetism. Dunlap scientists play leading roles in Canadian and international collaborations destined to make groundbreaking discoveries for decades to come, including the Canadian Hydrogen Intensity Mapping Experiment (CHIME), the Dragonfly Telescope Array, the Square Kilometre Array, the Large Synoptic Survey Telescope, the South Pole Telescope, and many others. Dunlap’s annual Astronomical Instrumentation Summer School for undergraduate and graduate students from around the world has been the institute’s flagship training initiative since 2012. 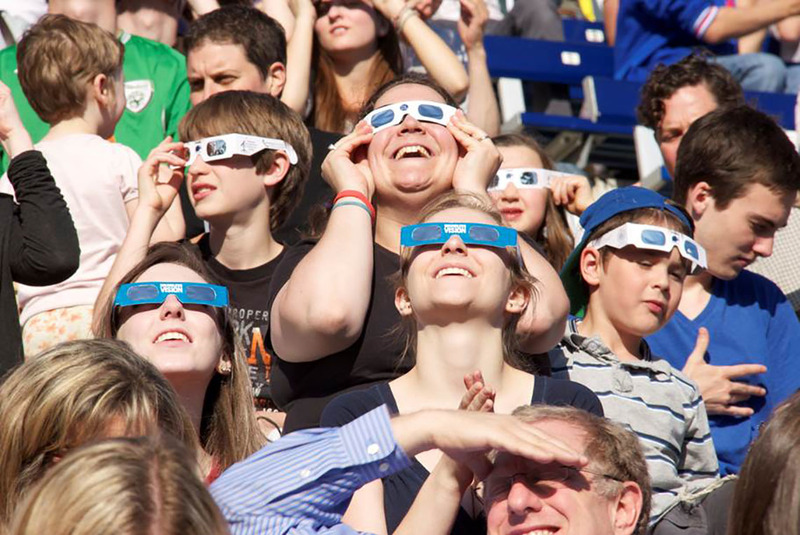 And the Dunlap Institute has sparked a love of astronomy in tens of thousands through events like Astronomy on Tap T.O., and through opportunities to view the 2012 transit of the Venus, the 2015 Supermoon total lunar eclipse, and the 2017 solar eclipse.